ARIES – Your generous and warm qualities would bring you some joyful and loving moments. Children will show affection and care for their younger siblings today. Those who are unemployed would be rewarded for their hard work and determination. Students should spend more time on revisions. Especially those who keep losing their concentration while studying. Colleagues and department heads would be pleased with teachers today for the effort they have put in. A promotion might also be on the cards. Artists planning to pursue higher studies may have to wait for a few days. The results of the entrance exams they have appeared for would be declared in some time. TAURUS – You will be in a balanced state of mind. In this state you would easily be able to sort out family differences that have come up. Children sensitive to cold air and drinks should not be exposed to either. There is a chance that they might catch a cold and fever today. A good day if you are planning to go out on a pleasure trip with the family. Those who are seeking a job need not hesitate to ask help or advise from others if required. Advocates will go by their intuitions in making decisions today. Their successful decisions would be appreciated by colleagues as well as superiors. Teachers may start getting bored of their current job and work place. They might start considering offers from other places or education institutions. GEMINI – Those who are single might spend their day with parents. They might go out shopping or just drive around. A romantic trip with your beloved is predicted. Share market investors are advised to avoid gambling or speculating on stocks today. Especially if they are investing other people’s money. Politicians need to learn from their past experiences as the key to their success might lie in their past. Sportspersons should be careful today as minor accidents are predicted. They should also avoid any trips outdoors. CANCER – You may get involved in unconventional relationship. But you are advised to get out of it before you get too involved. Those who are single might be overburdened with work today making them very short tempered. They are advised to be patient while dealing with their officers. Thos in the accounting field will get new opportunities to pursue their higher studies. Share market investors and brokers are advised to avoid gambling or speculating. Especially if they are dealing with other people’s capital. Sportspersons might meet with someone today who would guide them properly in their respective sport. Your physical health depends on your mental health. Since you will be very happy today you will feel healthy and physically fit as well. LEO – Lovers may look forward to spending a good time together. Those who are seeking a new job might get an offer for a new job. This will also bring them fame and recognition. Advocates can expect new cases coming their way today. These cases would bring reputation and money for them. Students who have scored good results in their exams till now may not perform as well during their exams. Teachers might have to stay on in class today for extra classes. Exams are near and they would have to complete their portions. Women who are active socially and movie artists might have to suffer humiliation today if they are not very careful. VIRGO – Married couples might look forward to a romantic lovely day. Unexpected financial assistance will come to businessmen. This would help them greatly in increasing their production or expanding their business. People in the real estate business will have a good day. But they need to ensure that they work practically and are rooted on the ground. Not building air castles. Teachers may have a surprise awaiting them today. It might either be a promotion of a salary hike. A promising day ahead as new opportunities to make an earning come by. 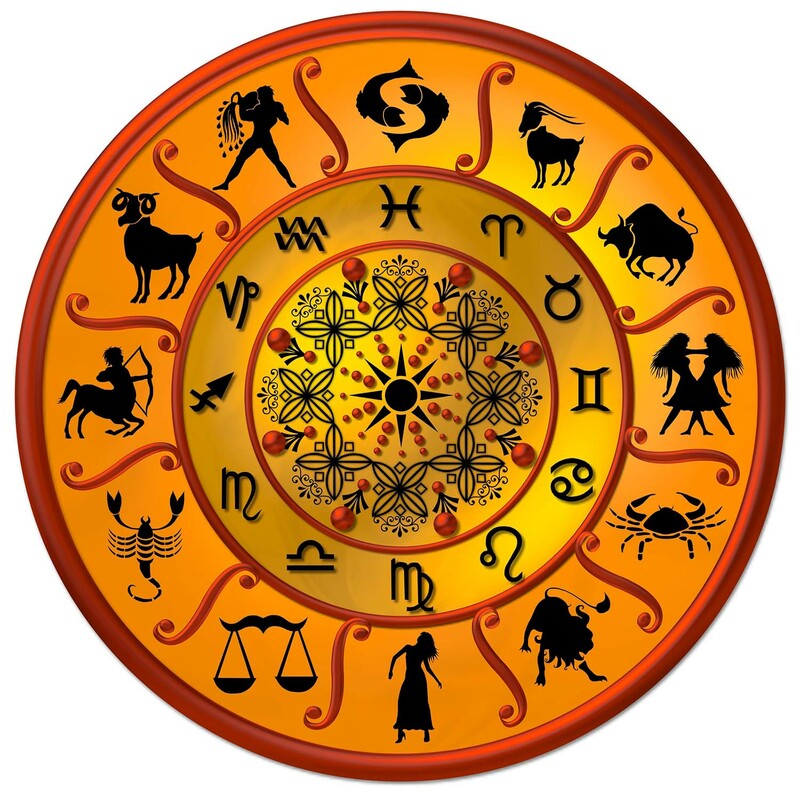 SCORPIO – Those who are single might spend a happy day with their parents and elders of the family. Those seeking a job should today ponder on their life goals and change their mindset accordingly. A good day for students. They will compete with full confidence with friends on intellectual subjects. Those who study in a group would benefit greatly. Teachers must show the maturity to be able to take in any feedback that comes regarding their work in a sensible fashion. Sportsmen will have a good day today. They will win all the games and matches they participate in. Any on-going land deal may be delayed today. It would also affect any other transaction adversely. SAGGITARIUS – Romantic partners will get more time today to express their love to their beloved. They will get time to spend with them and go for an outing as well. Those in involved in trading in the share markets would today stay away from work to enjoy the day with their family. A good day for studies and other academic projects. Those who wish to pursue higher education might have great prospects. A triumphant day for talented sportspersons. Especially those who underestimate themselves will be able to achieve new records. Taking medicines today will help you recover fast. CAPRICON – Unfavorable circumstances are predicted for lovers today. It would be advisable if they were practical rather than emotional. Children awaiting their examination results might be disappointed today. They need not take it too hard on themselves as they would certainly excel in their next exams. Medical professionals will feel relaxed today if they changed their routine or approach to work. An upsurge in the market might see many investors reaping unexpected profits today. They could make some cool money if they trade wisely. Teachers will have a professionally challenging day ahead. Student problems might have to be resolved or their teaching abilities would be put to test. Rest and a good night’s sleep will help you more than any medicine. AQUARIUS – Those who are elderly would be in a happy mood today. It’s also a good day for them to take up new spiritual or occult practices. Those seeking job opportunities are advised to postpone their interview or test. Today might not be a favorable day. Sportspersons may expect a call letter or an invitation for an interview for a new job. They would get this because of their talent in sports. PISCES – An excellent day today for elders who have not been keeping too well to undergo holistic healing practices. Those who have attended a job interview might not fare well. The results might not be in their favor. Clients will today show their gratitude to share market brokers for having invested in reliable shares. They would be very happy with the returns they get from their investment. Next articleBig Accident involving five vehicles at NH8 at Dena Chowkdi near Vadodara.